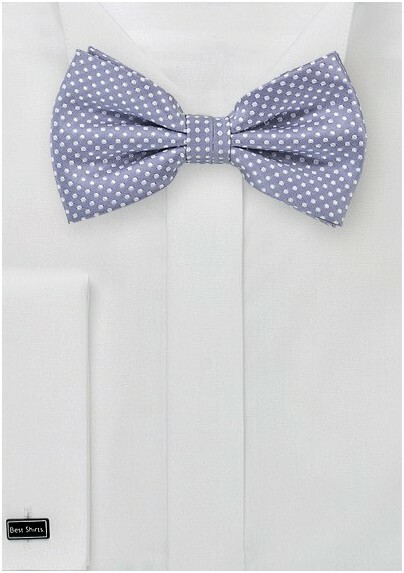 Add a touch of whimsy to your menswear attire with a bow tie that charms and delights. 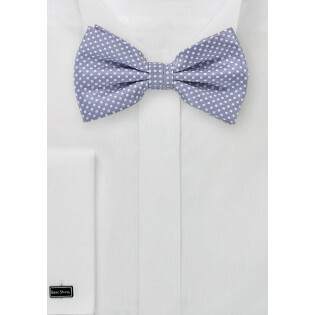 This piece features a lovely lilac hue with a pattern of white pin dots. Made from microfiber, it features a smooth texture that looks and feels like silk, but at a much more affordable price.